It’s August at last. The schools and students are on holiday and some of us will be taking much-needed breaks. With all the recent coverage I really hope that we may travel and return safely and securely. The theme for this month is therefore travel and aviation, together with the related themes of languages and culture, and this month’s Psychologist has an article on holidays and work–life balance to get us started. The latter topic has had a tremendous amount of coverage since our Annual Conference in Liverpool in May and Professor Sir Cary Cooper’s keynote address (featured in a conference report by Professor Gail Kinman on The Psychologist website). How we manage our working time, the balance between screen time and face time and our protocols for handling the ever-increasing amounts of e-mail and social media traffic that pervade our lives are, of course, personal choices, but very important ones too. As your President, I have already been doing a lot of travelling as part of my roles in the Society. So far I have been across to Armagh in Northern Ireland and up to Stirling in Scotland for two really excellent Branch conferences, linked in to the Welsh Branch by telephone conference (as well as a visit to Bangor and their Psychological Society). I’ve been to Basingstoke for the Wessex Branch AGM, to Liverpool for a Crisis, Disaster and Trauma Section Conference, to Exeter for the relaunch of the South West Branch of the DCP and to a number of London-based events as well. In the not too distant future, I am looking forward to being with PsyPAG in Glasgow for their anniversary conference, with the North East Branch in York and with the Psychology of Women Section for an event as well. Through this, the one thing that comes home above everything else is just how broad, diverse, varied and comprehensive our wonderful discipline is, covering everything from the relationships that precede conception and birth to the end of life, dying, death and bereavement, and all aspects of our interaction with the world around us. (The invited panel discussion at our Annual Conference on end-of-life care, with Baroness Finlay of Llandaff, rightly attracted a great deal of attention.) It is especially good when we come together as psychologists, first and foremost, at national and regional conferences and branch meetings, and when our training and other backgrounds cease, for a moment at least, to be that important. Having said that, our structures have always been important parts of our psychological identities and that is why we are currently in the middle of examining and reviewing the way in which our Society is organised and governed. Even though the second phase consultation period closed at the beginning of July, and we are in the midst of analysing the results of that second consultation, ‘we’ve only just begun’, in the sense that, using the input from the consultation, the steering group which I have the responsibility of chairing, and which has been running the review since April last year, will be pulling together a paper for the September Trustees meeting in order to allow a really full discussion at October’s General Assembly. It is these parts of the process, the ones involving all of our membership, or their representatives, that are so important since we would wish, over all else, for our Society to be organised in the way that our psychologist members want us to be: how they want our Society to look and function, both within the Society and, equally if not more importantly, in the way in which our Society interacts with the outside world, society, institutions, fellow disciplines and professions, the media and governments. If there is a clear direction in which we are heading then there may be a Society-wide vote in the New Year on any proposed changes, with Privy Council involvement if any changes need to be made to the Royal Charter and Statutes. 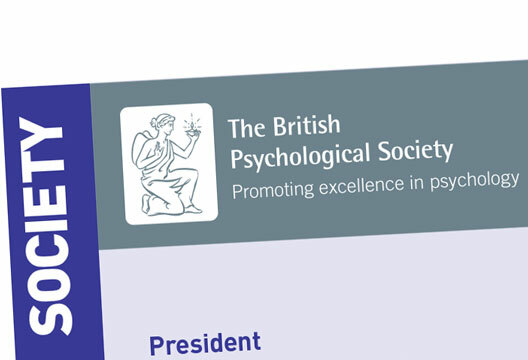 We have come a long way since 1901 (when the ‘Psychological Society’ was first formed) and the granting 50 years ago of our Royal Charter, but we must make sure that our Society is fit for purpose for the future. I believe psychology is making a huge and increasing difference in many areas, as apparent in a number of events I have attended: the Division of Clinical Psychology’s ‘Beyond the Therapy Room’ conference, the Division of Counselling Psychology’s Social Justice event in Manchester, and the BPS Ethics Conference organised by Professor Rachel Tribe at the University of East London. We are engaging at a national level too: meeting with Dr Lisa Cameron, SNP member of parliament and a psychologist; through our involvement in the NHS England Mental Health Taskforce and Transgender Symposium; and in the influence that we have been exercising on the government concerning psychology and employment. And this month, a group of us will be walking from Leicester to London to highlight the issues of homelessness, poverty and unemployment. Our 100 or so staff colleagues, in Leicester and around the country, continue to do a marvellous job in supporting all our activities and our numerous committees. Please do spare a thought for them, as they cope with the disruption of a total refurbishment of the Leicester office. Think too of all our colleagues who devote much time and effort to helping our Society to run smoothly at Branch, Section, Special Group and Divisional levels. I’m really grateful to you all. And now back to travel, culture and international affairs. Having been out to St Petersburg at the end of May to sign a declaration of intent with the Russian Psychological Society’s Professor Yuri Zinchenko, their Vice President, Professor Larisa Zvetkova and I signed a Memorandum of Understanding between our two societies in Milan on 11 July, witnessed by the other two members of our Presidential Team, Professor Dorothy Miell and Professor Peter Kinderman, and a large number of international colleagues at the end of the first day of the European Federation of Psychology Association’s (EFPA) General Assembly – which I had the great privilege of co-chairing – and which itself came at the end of the European Congress of Psychology 2015 and EMDR Europe Conference which had been taking place in Milan earlier that week. Our President Elect and Honorary General Secretary attended the annual conference of another of our MoU partners, the American Psychological Association, in Toronto and we are currently in negotiations with our colleagues in the Psychological Society of Ireland (PSI) with regard to building on our current Memorandum of Association and entering into a formal Memorandum of Understanding between our two Societies which, if ratified by our respective Board of Trustees and the PSI’s Council, would be signed off at their Annual Conference in Galway later in the year. International dialogue, conversation and exposure to different cultures are so important in helping us to keep open minds and in expanding our horizons. Whatever you do this August, within the UK or further afield, may I wish you all a safe, relaxing, refreshing and restorative summer.